As more people entertain at home and household spaces become multi-functional, the garden has become an extension of the living space – an opportunity to enjoy domestic functions alfresco. How can you use your garden to enhance your home and create a natural flow between indoors and out? Look to the architectural style of the house to inspire a garden style that complements and enhances the building to which it is attached. Consider the age, character, construction materials and colours to source ideas. Another valuable pointer is to follow the lines of the house – are the lines straight and grid-like? Or are they curved such as arches and eyebrow windows? Use the spacing of windows and doors to achieve sympathetic proportions for garden features and to give a sense of rhythm. Try similar materials inside and out, such as floor tiles with the appropriate finish according to location. From which windows do you view your garden the most? Both upstairs and downstairs, consider what you would really like to see when you gaze upon your garden from a favourite armchair or the kitchen sink. The spatial arrangement of the garden should spring from this list – sculptural focal points or evergreen planting will give an all year round view or you may prefer seasonal change through strategic placement of plants and vistas. It might be obvious to think of bringing nature indoors, by way of house plants and perhaps creative indoor planting (space permitting! ), but bringing the indoors out is becoming more feasible as traditionally ‘indoor’ furnishings are increasingly designed for use out of doors. Firepits are no longer the reserve of the wealthy and outdoor kitchens are an exciting upgrade to the simple barbecue. Positioning dining areas adjacent to the kitchen makes practical sense and creates a seamless flow from indoors out. Creative ways to beat bad weather or dark evenings mean the garden can really earn its keep. 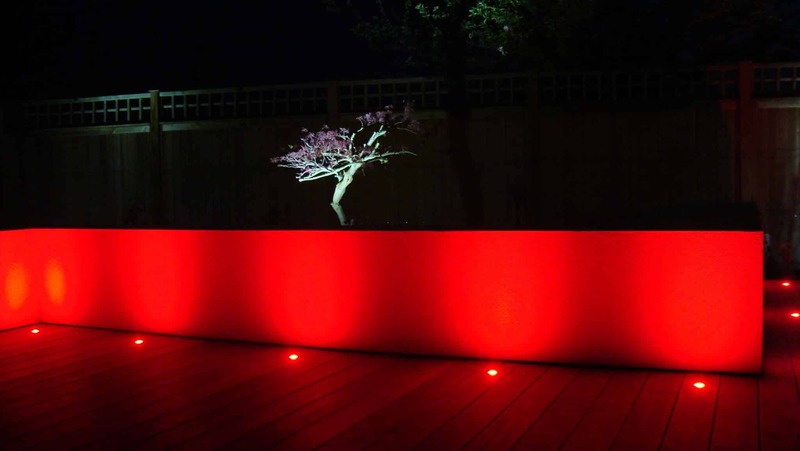 Think how lighting can bring unity between the house and garden. I like to think of a garden as a stage set, designed for function but also for aesthetics. 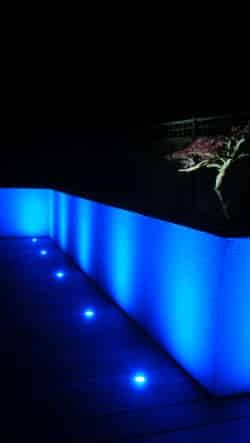 A well thought out garden lighting scheme extends garden use after dark but also gives a sense of drama, either to view from afar or inviting you out. Instead of drawing the curtains on blackness, uplit features are enhanced, and strung lights in trees and hedges give a feeling of depth. Overhead canopies or fully-opening external doors go some way to preventing bad weather from spoiling the fun. If the whole of your garden is immediately visible from indoors, why go out to see it? Encourage exploration of your garden with the Japanese technique of hide and reveal… design an inviting view from the house, but only by taking a stroll through the garden will you discover hidden features along the way. And remember that any feature directly against the house wall cannot be seen from indoors – set planting schemes back into the garden where they are better shown off. 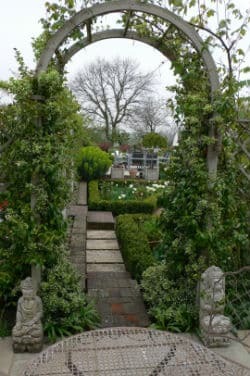 If you have a larger garden create more intimate spaces with low walls, pergolas, planting or differing ground surfaces. Recreating the feeling of being indoors but with the sky above you – the best of both worlds. Glamorous images of rooms with totally flush levels extending out into the garden may get you excited, but always remember the golden rule… stay below the DPC (damp proof course)! A patio should always be constructed a minimum of 150mm below interior floor level to avoid problems with damp and subsequent void insurance claims. Now go and enjoy your garden room!